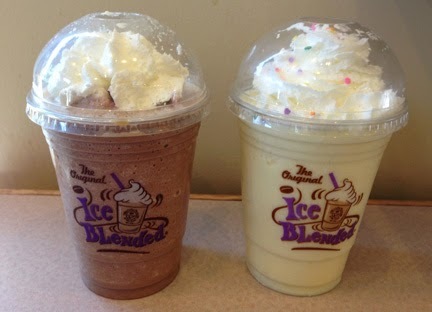 The Coffee Bean & Tea Leaf, my personal fave go-to coffee house, has done it again. Today only, for Valentine's Day they're once again offering their Buy One, Get One Free Drink special nationwide. Sharing a single Coffee Bean hot or cold drink is definitely romantic. But sharing the moment while you drink his and her Lattes or Ice Blended drinks with your love is an even better way to celebrate today, don't you think? 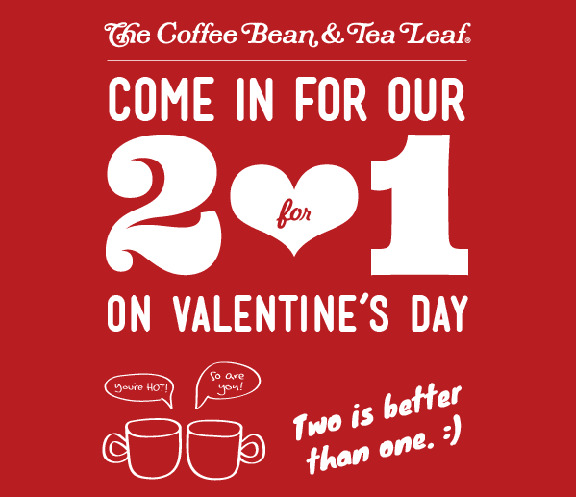 This special offer is only valid on Valentine's Day, February 14, 2014 and is valid only at participating The Coffee Bean & Tea Leaf retail locations. Free drink(s) must be of equal or lesser value. Offer cannot be redeemed for cash value. No rain checks. Cannot be combined with other offers.